The environment secretary has revealed plans to take back control of UK fisheries, decide how much stock to allocate to European boats, and give a “fairer share” to British vessels after Brexit. Environment Secretary Michael Gove promised that after leaving the European Union (EU) Britain would be “an independent coastal state for the first time in over 40 years”, in a White Paper published Wednesday. The “allocation of fishing opportunities under the [EU’s] Common Fisheries Policy is outdated, and the UK’s share does not accurately reflect the resources in UK waters,” he writes. The document reveals the full scale of how the UK has been disadvantaged by current arrangements. EU boats, it says, took around 760,000 tonnes of fish worth £40 million a year from UK waters between 2012 and 2016 — compared to 90,000 tonnes of fish worth £110 million landed by UK boats in the waters of other EU countries in the same period. The government is seeking to “share fishing opportunities on a fair and scientific basis” and is currently researching ways of giving “a fairer share of fishing opportunities for UK fishers”. It will also be easier to sell British fish abroad after Brexit, as “equipped with a new fisheries policy, the UK fisheries sector will be in a strong position to trade seafood with export markets around the world” it says. 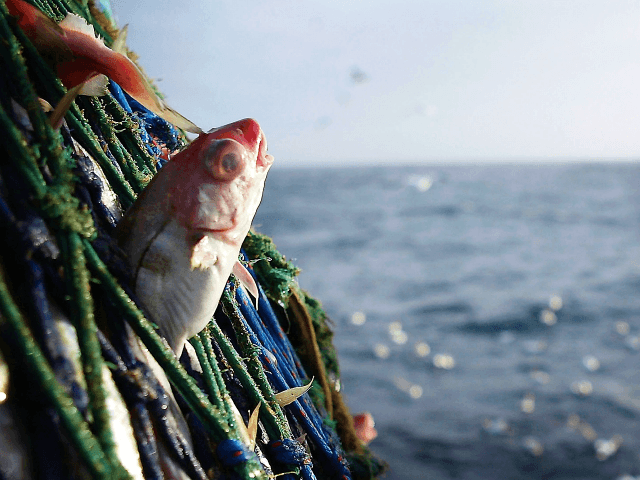 “As a dynamic industry, fisheries require rapid and responsive regulation,” the document adds, promising the new policy will also be better for the environment. The European Commission’s chief Brexit negotiator Michel Barnier, meanwhile, has demanded EU boats continue to have unfettered access to Britain’s waters if the UK is to continue trading with EU markets, as Mrs May is pushing for. In March, the Prime Minister decided to bow to such EU demands for at least two years after Brexit, during the so-called “transition period”, prompting a furious response from Brexiteers.